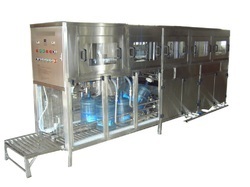 Our range of products include 10 gallon rinsing filling capping machine, 5 gallon semi rinsing filling capping machine, 5 gallon automatic rinsing filling capping machine, 5 gallon water rinsing filling capping machine, automatic rinsing filling capping machine and automatic rotary bottle rinsing filling capping machine. 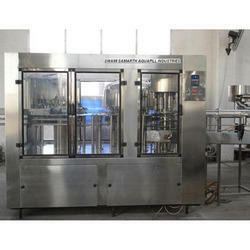 We are offering 10 Gallon Rinsing Filling Capping Machine to our clients. 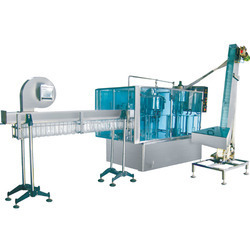 We are one of the reputed manufacturers, suppliers, and exporters of superior quality Automatic Rinsing Filling Capping Machine. 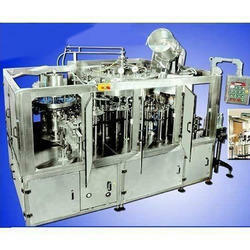 The machines offered by us are manufactured as per the set industry standards and norms using superior quality. 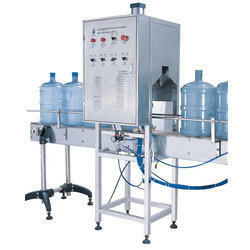 We also test these machines on various parameters so as to ensure their high performance and longer working life.